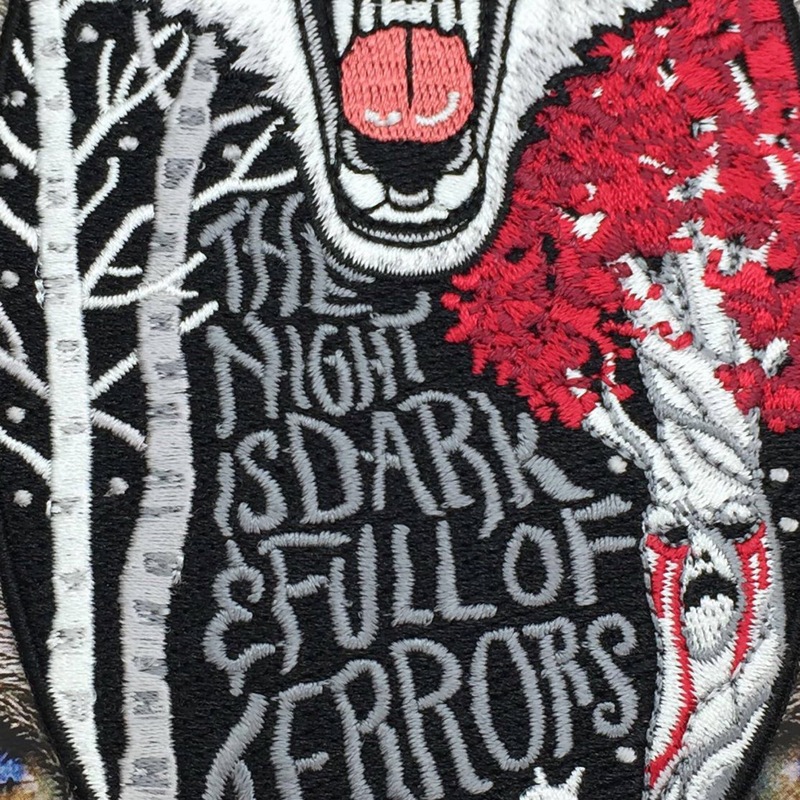 This patch is inspired by a quote from Game of Thrones. 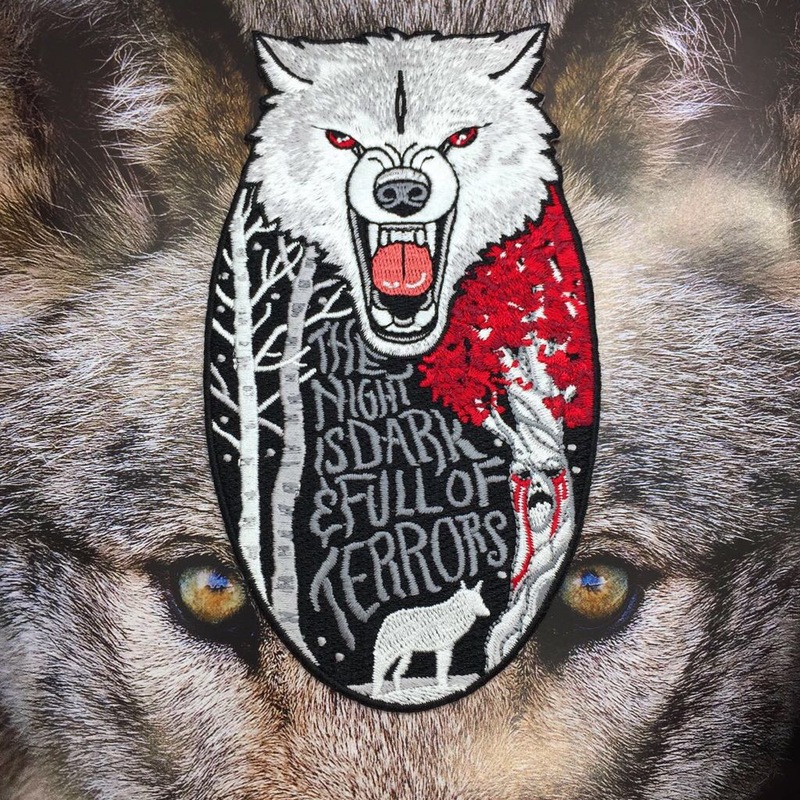 It's iron on. It's 5.5" tall. 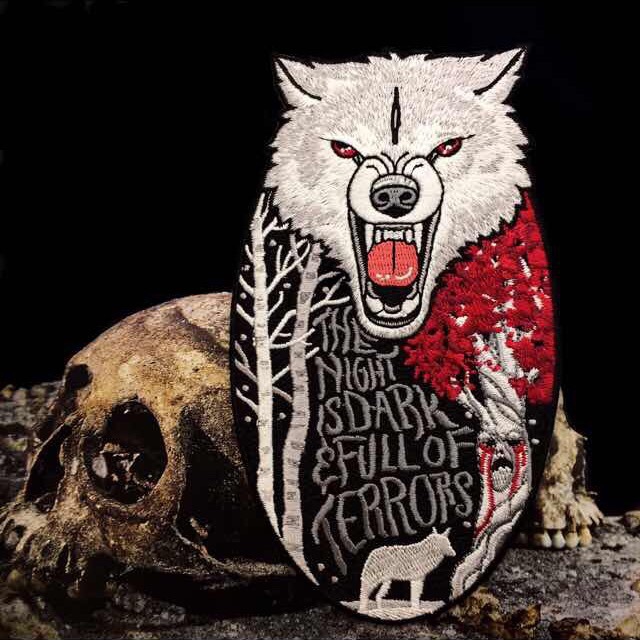 It features Jon's direwolf, ghost, the quote, a weirwood tree, and a silhouette of a direwolf in the forest.